This statement necklace by Pura Mexico is from one of our leading designers. A contemporary solid sterling silver necklace, it is adorned with hundreds of drops of silver linked by a solid belcher chain that fastens with a solid T bar toggle clasp. 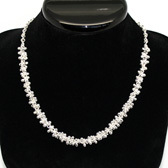 It is sure to add a touch of elegance to any outfit. 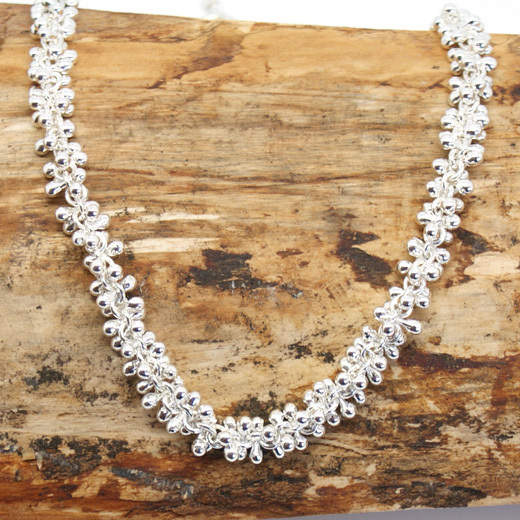 We have matching earrings and a bracelet on this page. A high quality sterling silver Pura Mexico necklace and great value. Like all of our products, it is brand new and in stock in the UK, ready for our super fast shipping. Not what you are looking for? 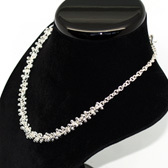 We have a wide range, see the womans silver necklace gallery for our other options. UK items are usually received 1 day after dispatch.